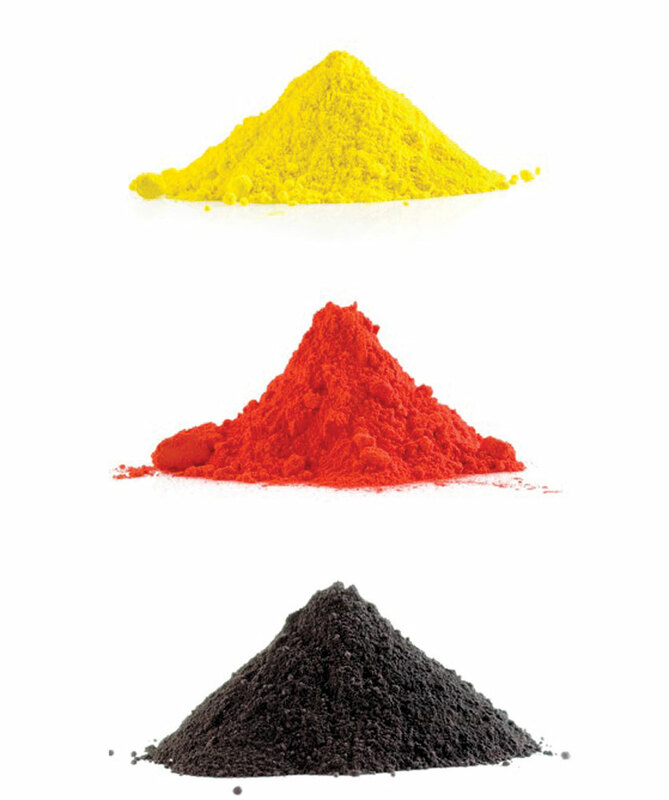 Understand powder coating and its history. Describe powder-coating application processes and their development. Explain how powder coatings differ from liquid, and understand the environmental and health benefits. Discuss architectural applications and testing. Powder coating is a paint finish that is industrially manufactured in a powder form. Polymer granules are mixed with other ingredients and then broken down and milled into a fine powder. It is factory applied and cured, and applied to metal components or other materials such as medium-density fiberboard. Powder coating works well for a range of applications, and unlike liquid paint, powder coating does not require a solvent. It creates a thicker, more durable coating than conventional paint. First developed in the late 1940s and early 1950s in Europe, the process of powder coating was in response to health and environmental concerns. At that time, liquid paints that contained solvents dominated the market, and the solvents polluted the environment and had harmful health effects on people. As stricter limits on industrial emissions came into play in the 1970s, powder manufacturing began to spread globally. A rapid growth phase in powder production began in North America and Japan in the early 1980s, and innovations in the application process led to increased transfer efficiency, reduced waste, and lower overall costs. The automotive, appliance, and industrial markets drove the developments as the sophistication of materials, manufacturing, and applications improved. The general application of a single coat of a powder finish is economical and efficient. Application of powder coating takes one shot; single-coat applications are the most common method of powder coating and reduce time and energy. There are exceptions, however, when a two-coat system of powder coating helps create a special effect, such as a texture or pattern on the surface. Powder coating can be applied manually to the object, or the object can be run through an automated paint booth. The powder is applied electrostatically. The object can be coated in a powder-coating booth, which is computer operated with banks of nozzles. Stationary or reciprocating guns are used in automated application systems. The computer generates data about the length of the substrate and whether it needs to be sprayed on both sides. The substrate is hung from a rack or conveyor that transmits a negative static charge to the material. At the tip of the applicator, a probe gives the powder a positive static charge as it is sprayed through the gun. This allows the powder to be attracted to the substrate and minimizes overspray. Once the substrate has been coated, the powder is then cured. The coated object is baked in an oven at temperatures ranging from 250 degrees Fahrenheit to 400 degrees Fahrenheit. This thermal cure forces the cross-linking of molecules in the resin to make the resulting thermoset coating system. The finished product is an object coated with a hard and durable powder-coated finish. Adding to the economic benefits, the base product for powder coating costs less than wet paint. While the cost to buy and run an oven to bake and cure powder coating can be high, the substrates tend to cool and be ready for use very quickly, in as little as 20 minutes. On the other hand, liquid paints can take days to dry and be ready. Durability is another benefit of powder coating. Powder-coated products can be highly resistant to extreme weather conditions, impact, moisture, chemicals, and light. As an example of the relative durability, let’s take the high-performance American Architectural Manufacturers Association (AAMA) 2605 exterior powder-coating specification. AAMA 2605 is the high-performance exterior specification for qualifying paints and finishes. These finishes are resistant to moisture, weathering, ozone, and UV radiation. An application for this finish would include architectural projects like bridges and structural load-bearing members that require long-term cosmetic and functional protection. It’s important to note that when the solvents from liquid paint evaporate, they can leave a porous surface that is less resistant to chemicals and industrial cleaners. 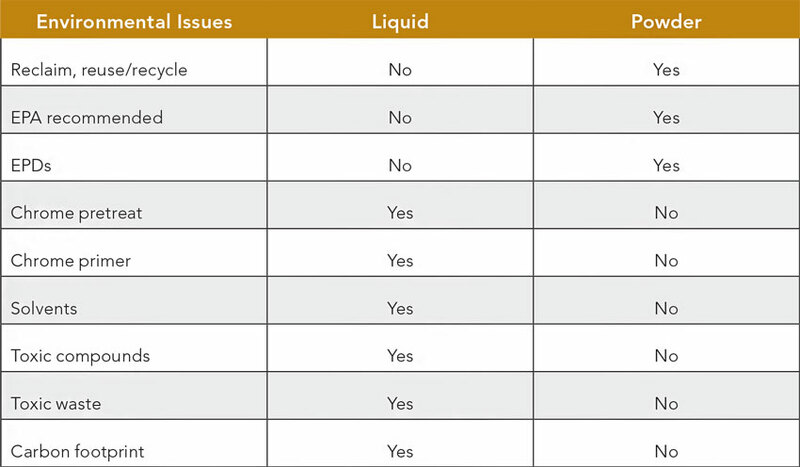 Solvents that evaporate from liquid coatings also leave porosity in the dry film, which makes the surface less resistant to acid rain and industrial cleaners. Powder coatings are denser and provide better corrosion resistance than liquid coatings. Powder coatings typically have a higher buildup of film that offers improved chemical resistance. They resist scratching as shown by their performance under a pencil hardness test. Unlike liquid PVDF coatings, a thermoset fluoropolymer powder forms a hard, durable film to provide excellent scratch and mar resistance. Another major advantage of powder coatings is the vast range of colors, glosses, and textures that goes beyond what liquid coatings offer. There is a wider aesthetic choice of finishes in an array of color schemes. Powder coating selection also includes a broad range of gloss coatings—more than liquid PVDF coatings provide. Another interesting feature is that there is a good selection of contemporary textures and patterns for powder coatings. Finally, unlike liquid coatings, powder coatings leave vertical and horizontal surfaces more evenly covered. Some examples of architectural powder-coating applications in residential areas include windows, doors, verandas, fencing for homes, and light posts in the neighborhood. The finishing of residential property can include such decorative considerations as trellises, umbrellas, and patio furniture. Other useful things from around the home that take powder coating are kitchen racks, lighting fixtures, handles, drawer pulls, and metal table and chair frames that can be streamlined or modernized with powder coating. Special ordering new colors and textures can help homeowners avoid throwing away old items to buy new ones. Instead, powder-coating businesses do custom work to update furniture in a home. Any electrically conductive metal or object that can withstand 400 degrees Fahrenheit can be powder coated. Powder coating offers a decorative, cost-effective, and environmentally friendly alternative to buying new items, simply by refinishing and giving new life to older products. A final benefit is that powder coating finish is environmentally safe with green finishing technology. As a result, it can contribute toward LEED credits in a building project. 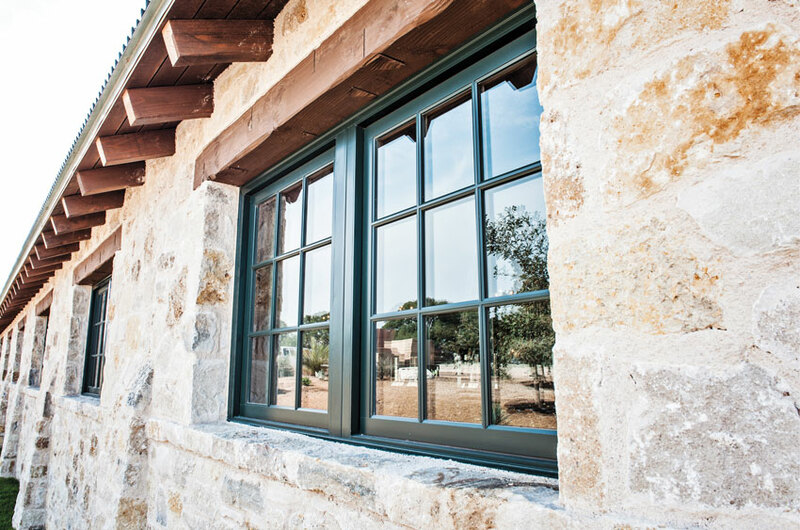 Sierra Pacific Windows has everything you need from a custom wood window manufacturer: contemporary, historic, specialty doors, and even a wood curtain wall system. 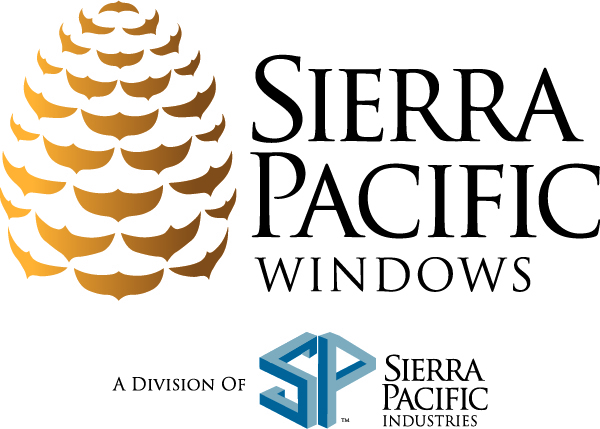 Owned by a vertically integrated forest products company Sierra Pacific Industries, Sierra Pacific Windows takes a sustainably managed seed-to-window approach.